Congratulations, Daddy... "Real Men Change Diapers"! 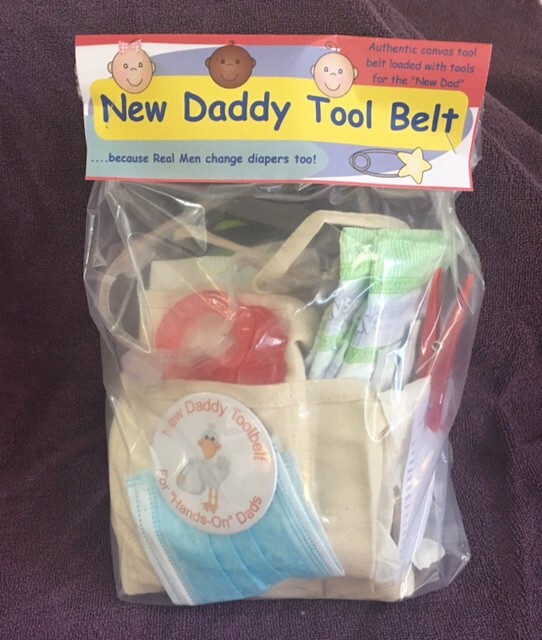 Not to worry, though, because with The Rosemary Company's New Daddy Toolbelt, you're all set to change those stinky diapers like a pro! This real, honest to goodness, manly 18 piece Toolbelt is stuffed to the brim with useful items for a new Dad to use when doing Daddy Diaper Duty. 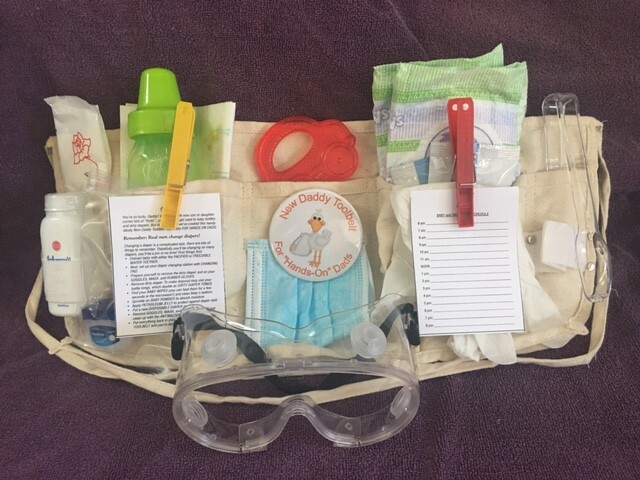 We've even included "Handy Daddy Tips" on how to use each item, and a "Baby and Daddy Nap Schedule" to keep track of those important snooze times. Remember, New Dads need to be celebrated too, and this is the perfect gift for a baby shower or for after baby has arrived (everyone will love it!). Perfect for office showers and couples showers too and an ideal Gift from his Mother or Mother-in-law. With the New Daddy Toolbelt, Daddy will start out with a great, heavy-duty, 6-pocket, reinforced toolbelt. 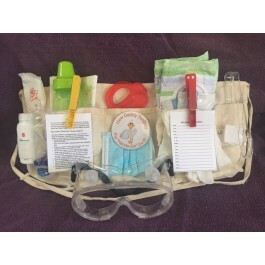 Packaged in large, clear cellophane bag with a header which lists the contents and includes a photo of the toolbelt. Choose from girl, boy, or assorted accessory colors. Order NOW - this is a popular item!